Ranthambore National Park is located in Sawai Madhopur district of southeastern Rajasthan, about 130 km from Jaipur. The total area of the Ranthambore National Park is 1,334 sq km. 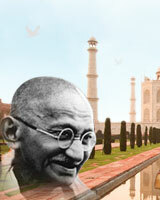 In 1979, it was declared a Tiger Reserve. 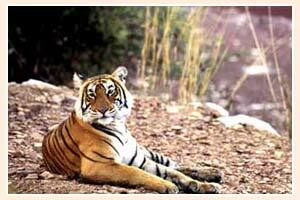 Ranthambore National Park is one of the best tiger reserves in India. The Sanctuary has a great variety of flora and fauna including 300 trees, 50 aquatic plants, over 300 species of birds, 12 reptiles and 30 mammals. It makes home for both local and migratory bird population. Ranthambore has large numbers of sambar, chital, boar, chinkara, mongoose, monitor lizards and nilgai. Also leopard, hyena, jackal, jungle cats, sloth bear and marsh crocodile are found in this national park. 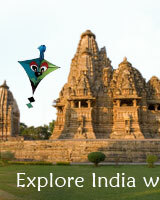 The best time to visit Ranthambore national park is from October to June.